Especially in winter, sweaters belong to the everyday wardrobe of every child. Cuddly softly they nestle to the body and keep this warm. As a fashionable all-rounder, sweaters, sweatshirts or pullovers can be combined with skirts or pants and therefore belong to the most popular clothing items in children's fashion. Sweaters for kids are available in many variations and designs. For girls as well as for boys, they are available in different colors and shapes, so that everyone gets their money's worth. 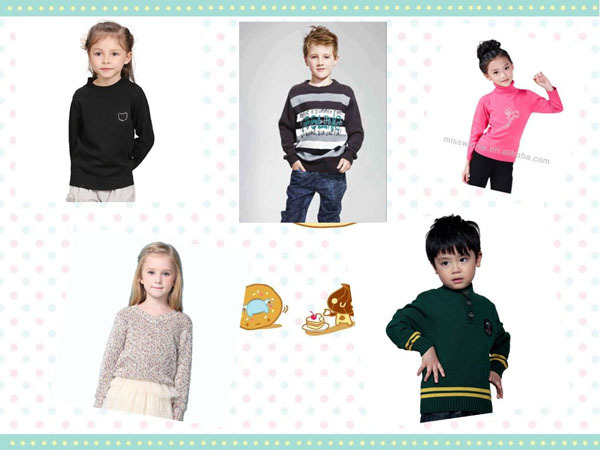 At WinnieKidsClothes you will find a wide selection of sweaters for kids, which convince customers not only by their quality and functionality, but also by a reasonable price. Certainly, your little darling will be thrilled by our wide selection. The fashionable sweater and the sweat jacket are not only practical because they keep warm in winter, but also because they can easily be combined into many garments. A cuddly wool sweater with or without a hood combined with a comfortable pair of jeans, or a sweet sweatshirt combined with a winter skirt with pantyhose, are the perfect outfits for small fashion fans, where they are not only warm but also fashionable. Our self-owned brand Miss Winnie kids clothing you get at WinnieKidsClothes at particularly reasonable prices. In addition to this, cute prints and a child-friendly design ensure that every detail is matched to the taste. Especially details such as embroideries, bows or glitter ornaments are very popular with kids' wear and make every piece of clothing a real eye-catcher. But also the motive of the personal favorite hero such as Spider-Man, Mia and Me or Cars, let the heart of every little fan beat faster. Browse through the online shop of WinnieKidsClothes.com together with your child and be inspired by a wide selection of fashionable and functional sweaters in different colors, sizes and patterns. Whether you're looking for a thick, woolly sweater for the cold days, a light sweatshirt for cooler summer nights or a sweat jacket with a hood for fast dressing: WinnieKidsClothes gives you quality products from well-known manufacturers at reasonable prices. You can find exactly what you are looking for and your favorite, and you can order it from your comfortable home.